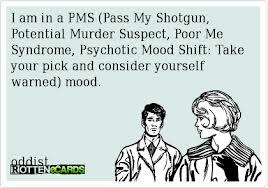 PMS, Bone Health, Women’s Issues? October 27, 2013 / Debbie / Comments Off on PMS, Bone Health, Women’s Issues? Went to a Woman’s Health Seminar yesterday and it was excellent:) We heard about PMS, Menopause, Weight Gain, Bone Health, and the (lack) of sexual desire so many women feel that it’s the subject of a zillion jokes and pretty much accepted as “normal”. Here’s the facts though: PMS, bad Menopause symptoms, Weight Gain, Bone deterioration, and lack of sexual desire isn’t normal and you don’t need Magical Pills to help you get past it. Once again, it’s ALL ABOUT DIET AND LIFESTYLE. Your health, your mood, YOUR HORMONES, they’re the result of the Food You Eat, How You Manage Your Stress, Sleep, and Exercise. There were no Big Reveals, Special Programs, or, like I said above, Magic Pills. That’s okay though, because Your Health Is In Your Hands: you have power and control over your physical and mental health, you just need to start exerting it! Menopause? Some other countries don’t even have a word for that. We’re special because we have some of the worst Peri – Menopause Symptoms In The World. If you’ve spent your whole life eating processed carbs, trans fats, and chemicals; drinking wine several nights a week, snacking enough that Insulin is never turned off; not managing your stress so that Cortisol is made Constantly – which means Raw Ingredients for other hormones go to Cortisol – then there is no supplement/pharmaceutical protocol that’s going to fix you. Changing your diet will though. So will adding exercise, going to bed hours before midnight, and managing stress. Seriously. Bone Health? American’s eat more calcium, take more Vitamin D, more Bone Building Supplements, than ANY OTHER COUNTRY. We have MORE osteoporotic fractures than ANY OTHER COUNTRY. You can’t supplement your way out of a Carby Diet, Unmanaged Stress, Wine Every Night, Little Sleep, and No Exercise. Just like Weight is ALL ABOUT THE HORMONES, so is your mood, your health, and your BONES. 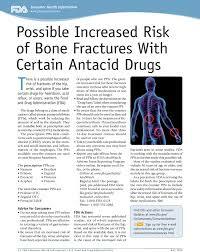 If you have Glucose in the blood stream ALL THE TIME ( see diet described above), bone health will be greatly affected. Sexual Desire? Doesn’t happen when you’re exhausted, adrenally depleted, have a slow thyroid, a liver that’s clogged, an unhappy attitude about your body, and loads of cortisol. Again, there’s no Pill or Magic Formula to fix this. But Lifestyle Works Every Time – honest. We’ve got ESPN on this morning ( If my husbands home, it’s on. It seems to have a good calming effect on him as he doesn’t even sit and watch it, he just enjoys having it in the background.) So far there’ve been commercials for Doritos ( super happy people), Beer (super happy people), Prilosec ( Happy guy in front of a PILE of food; Warning stayed on the screen for the duration: Do Not Take More Than 14 Days. That’s because it RUINS DIGESTION, REDUCES STOMACH ACID, and INHIBITS NUTRIENT ABSORPTION – it says that on the package too.) and then Cialis (happy people). If you live your life according to Media Advertising, this morning’s message is this: Junk food is wonderful and makes you happy, Alcohol is wonderful and makes your life better, and Drugs will help you with all the problems you encounter from your Junk Food and Alcohol consumption. But that’s not true, at all. Not for men, not for women, and not for children. Your lifestyle choices Every Single Day are what make or break your health,.. every single day. Take control of your life: eliminate the processed grains and sugars, read your labels so that you can avoid trans fats and chemicals too. Don’t assume ANY FOOD that comes in a box or bag is healthy, even if it’s in the Health Section. Do you drink Wine or Beer several nights a week? Think of alcohol as Liquid Doughnuts, quit fooling yourself that there’s some health benefits, because there’s not. Treat alcohol as a VERY OCCASIONAL treat; did you know that a serving size of wine is FOUR OUNCES???? Alcohol ruins stomach mucas/gut function, destroys the liver (which compromises about 60% of our Total Daily Calorie Burn), influences the body to convert everything consumed with the alcohol to be converted to fat, induces insulin to be released, damages neurons in the brain and I could go on and on and on, but let’s leave it at this: Alcohol’s not healthy. Sleep is IMPORTANT, and lack of sleep does a number on your hormones that lead to all kinds of illness and disease. Make getting to bed and falling asleep – way before midnight – a priority. Exercise is IMPORTANT, you don’t have to do Cross Fit, or Interval Training, but you should move EVERY DAY. Yoga / dance classes / walking / 10 minutes on a bike and 10 minutes of lifting / whatever… it’s all good and your mind and body NEED it. Stress Management: Practice this. Read about it, learn about it, focus on it. If you live a life where stress in unavoidable, you need to learn mental and physical tricks to keep your Cortisol from constantly flooding your blood stream. Think that’s impossible because your life is so stressful? Other people manage it, you can too. It takes forethought, practice, and effort, just like planning/shopping/cooking and eating well. But it’s totally do-able. Our health is in our hands, from PMS, to Osteoporosis, to GERD, to Heart Health, to Diabetes, Cancer, Auto-Immune and everything else. 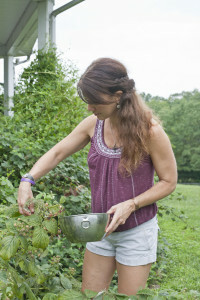 Practice the habits and actions that lead to Good Health, Good Hormones, and a Good Immune System. Eat healthy fats and proteins, tons of vegetables, some fruit, some nuts and seeds, some whole fat dairy( if your stomach agrees). Exercise or move every day. Go to bed at a decent time. Practice stress management techniques. Drink plenty of water. 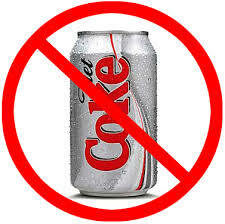 Avoid foods and people that are toxic ( some people need to be “mentally” avoided if you can’t avoid them physically). Take your power and use it. You can do this! Salmonella, the Government Shut Down, and why You need MORE STOMACH ACID, not less. 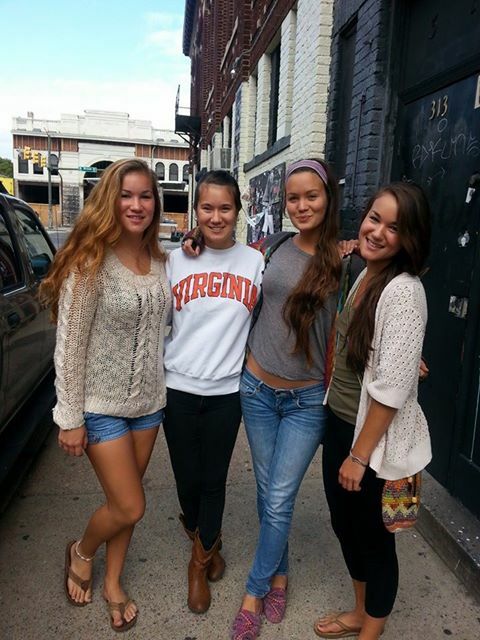 October 16, 2013 / Debbie / Comments Off on Salmonella, the Government Shut Down, and why You need MORE STOMACH ACID, not less. 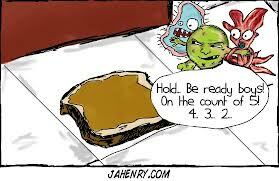 Did anyone hear that’s there’s been a Salmonella outbreak since the Shut Down began? Someone sent me an article that blamed it on a lack of inspections. I’m placing the blame on Insufficient Stomach Acid. Let me explain, and bear with me. Who reading this suffers with gas, bloat, stomach pain, reflux, and/or indigestion? It’s pretty common. Go to your doctor about it, or follow TV/Magazine Advertisement Advice, and you’ll likely think that an Antacid is your answer. After all, that pain must be from too much acid, right? WRONG. It’s most likely from NOT ENOUGH ACID. If there were sufficient amounts of stomach acid, your food would digest quickly, like it’s supposed too, and move on. If there’s insufficient acid, your food doesn’t digest quickly; instead, it’s lingers in the stomach rotting and fermenting and generally making you feel awful. Our stomach should optimally be full of acid, ( HydraChloric Acid / HCl) . If we were to measure that acid on a pH scale, it should be very, very acidic, somewhere in the range of 1.5 – 3.5. That’s strong. That would eat a hole in the floor, seriously. God made us that way, and it’s actually a very clever design: the high acid triggers all the rest of the digestive enzymes and hormones and processes that are needed to break your food down to the smallest little molecules possible. Your carbs break down to glucose and fructose, your proteins break down to amino acids, and your fats break down to fatty acids. If there’s sufficient HCl, enzymes, and digestive hormones, then all the vitamins, minerals, and phytonutrients are cleaved off and along with the carbs, proteins, and fats, are absorbed in the small intestine, and then passed through to the blood stream. That’s as descriptive as I’ll get via Blog. Via Skype/One on One/Group Talks, I can explain much more in-depth. Inhibit stomach acid with either drugs (NSAIDS, antibiotics, etc), foods (sugars and flours), stress/cortisol, or phosphates (in sodas, drinks, and processed foods), and Bad Stuff Happens: B vitamins aren’t absorbed; minerals like calcium, iron, zinc, and magnesium aren’t absorbed (more than 100% increase in hip fractures for antacid users), proteins and fats aren’t broken down and available to our bones, brains, or organs; vitamin A isn’t absorbed, and so on and so on. In other words, suppress stomach acids and Serious Nutritional Deficiencies Occur. Guarantee. That’s why ALL acid suppressing drugs have warnings on them advising that usage doesn’t exceed 14 DAYS and never more than 8 weeks. Hmmmmm. So how does this relate to Salmonella? That’s a pathogenic / bad bacteria; in the presence of sufficient stomach acid, Salmonella would be KILLED BY THE ACID. Our stomach acid is actually a line of defense in our immune system. Most bacteria and virus (and fungus and parasites) can’t live more than 15 minutes in a properly acidic stomach. Ask yourself this, why do some people fall victim to food poisoning, and others ( who ate the same food), don’t. The body’s immune system either takes care of the Invaders, or it doesn’t. Again, strong stomach acid is part of our Immune system and we don’t want to do anything that would compromise it. That said, what do you do if you have Reflux, Gerd, gas, bloat, and indigestion? What if you’re already on antacid medicine? 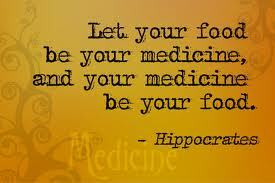 Heal and seal the gut, change your diet, and examine the meds you take. Our body wants to be well and is honestly HIGHLY capable of healing itself. Often times, just removing “offenders” is good enough. If it’s not, try adding Apple Cider Vinegar (Bragg’s is a good brand), Aloe, green juices or green powders; if that’s not enough, you may need supplemental digestive enzymes or HCl; or some gut healing supplements. Also, always consider a good probiotic, which replenishes good bacteria; and probiotic foods ( NOT sugary commercial yogurts – their sugar content’s are way too high) like keifer or saurkraut. Our health, physical and mental, is from the foods we eat, how we manage our stress, and our lifestyle choices. No one is deficient in a pharmaceutical drug. No one. Our country, and much of the world, is suffering from an epidemic of obesity, all matters of disease, and mental/neurological problems. I just finished reading an article in the Atlantic that blames the cause of these issues on fat, “..science is, in fact, fairly straightforward. Fat carries more than twice as many calories as carbohydrates and proteins do per gram, which means just a little fat can turn a serving of food into a calorie bomb.” OMG. This is 2013, and that’s not what the science is saying AT ALL. But this is exactly the kind of thinking that’s gotten us into this weight/health/mental disorder mess. Just because fat has twice as many calories, doesn’t mean it’s the CAUSE of our current condition. 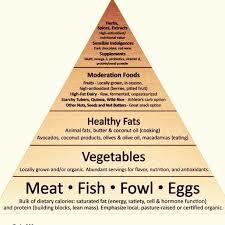 The lowfat/lowcal/”healthy whole grain” paradigm is exactly what’s caused the current condition. Body fat wasn’t a problem at all before the current recommendations were put into place and became a Public Mantra. FACTS: Our brain is 60% fat; our connections, our memories, our ability to quickly recall details, they go AWAY when there’s not enough good fat and cholesterol in the diet. Science proves this, read Grain Brain, by neurologist David Perlmutter. Our hormones? Testosterone, Estrogen, Cortisol, all the steroid hormones ( there’s a bunch), they’re made from FAT and cholesterol, it’s part of the recipe. Vitamin D? (of which there’s a serious deficit), it’s made from Cholesterol. 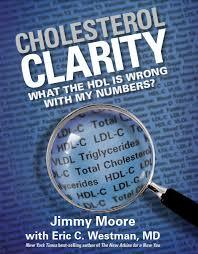 Science proves this, read Cholesterol Clarity. 28 doctors and lipid scientists fill the pages with the latest research. The fat-soluble vitamins, A, D, E, and K? They can only be absorbed in the small intestine WITH FAT. 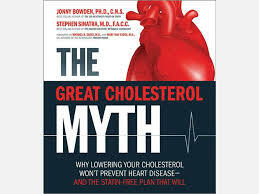 Science/proof/read The Great Cholesterol Myth by Drs. Jonny Bowden and Stephen Sinatra. Want to feel full, and stay full for HOURS? Eat fat. Want to feel more stable, less moody, less scattered, less forgetful? Eat fat. The science proves this, read the Mood Cure by Julia Ross. Here’s the real science: when you eat carbs, and put your blood sugar above 100mg/dcl of blood, insulin takes that EXCESS and turns much of it into TRIGLYCERIDES, which need little LDL boats to transport them to our torso area. 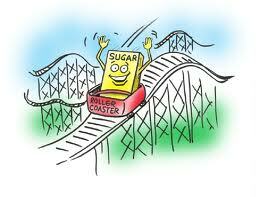 Current Science: excess carbs = high insulin= inflammation & triglycerides & high LDLs. That’s the science. I’ve eaten more fat in the past two years than I think I have cumulatively my entire life. For the first time in years and years, my binges and cravings are pretty much gone. It’s like a thousand pound weight off my shoulder. I’ve eaten less refined/processed/ healthy whole grain carbs than ever too. What a WONDERFUL combination. High fat, medium protein, low carb, with my carb sources being vegetables, fruits, nuts and seeds. It’s such a relief to NOT feel preoccupied with thoughts of food, or the next meal. My weight: totally stable. My moods, better than ever. My fitness level, great. Confession to my husband: when you came home last night and said “I smell bacon! Did you save me some?” and I said, “oh hon, there were only 3 pieces, and I ate them.” There were 6 pieces, and I actually did cook some for you, but I was talking on the phone with Lynda and just ended up eating them all. They were so good. I’m Sorry!! There will be bacon for you tonight I promise! We get our bacon from our local IGA, and they’ve been buying a “forested pig” and doing their own curing. I never knew how much a pig’s diet could change the flavor of the meat, but this is AMAZING. There’s plenty of places that are doing this now, try www.eatlocal.org to find a place near you. 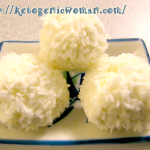 Let me leave you with a recipe for my favorite treat, chocolate coconut discs; but first, why coconut? 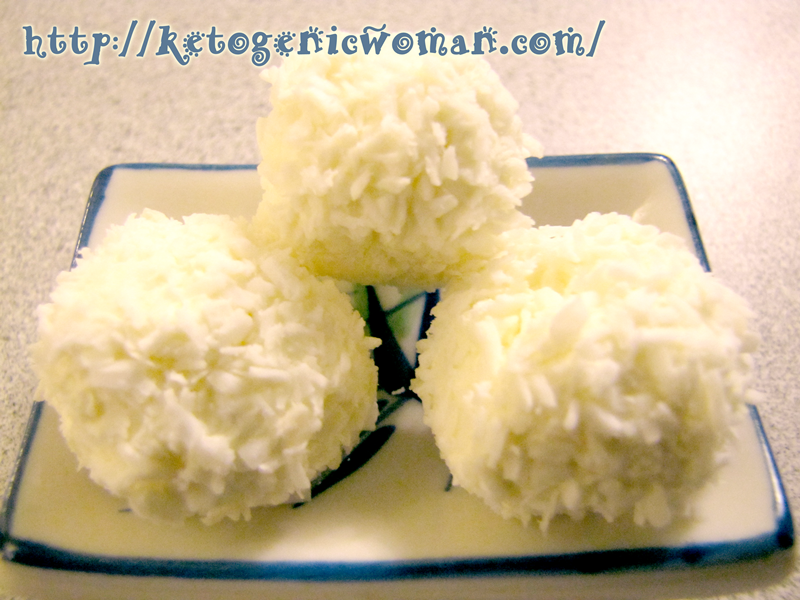 Coconut has enormous anti-viral/anti-bacterial properties, huge. Seriously, put it on a cut or a cold sore and watch what happens. It does the same with bacteria and virus that make it past the skin or mouth. It’s also a Medium Chain Fatty Acid, which means it digests VERY easily, and is mostly used for energy very quickly, as opposed to stored. It’s being very successfully used in Alzheimer’s and dementia studies right now, for actually REVERSING the conditions; but I like to think about it’s ability to PREVENT the conditions. 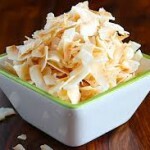 I make sure my kids get coconut flakes, butter, or oil every day. It’s a pretty potent superfood. Now for my recipe: I melt a couple tablespoons of coconut butter/oil in a small round, glass bowl. I add a tablespoon of cocoa powder, and a few drops of liquid stevia. Stir, and freeze. I have to let it sit on the counter for a few minutes to pop it out. This is DELICIOUS, and incredibly filling. Eating well is delicious. Real Whole Foods taste amazing. I’m not talking about steamed veggies and lean proteins. That’s boring and unsatisfying; no one can stick with that forever! But delicious meats and vegetables covered with butter, olive oil, and cheese? Or sauteed in coconut oil? Even kids like that – and it’s good for them, and you too. Tired of feeling tired, or sick, or unable to lose the weight? 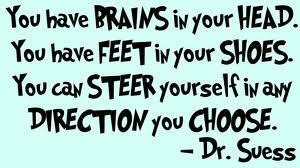 Try a different way of thinking. Try a different way of eating. Just try it. Get in touch with me if you have questions. I promise, there is a better way. Don’t be scared to try it. Satisfries and Jennifer Aniston: Part of a Plot? October 7, 2013 / Debbie / Comments Off on Satisfries and Jennifer Aniston: Part of a Plot? 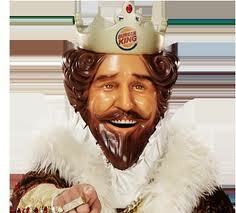 Oh gosh, Burger King’s come out with a new french fry called Satisfries. 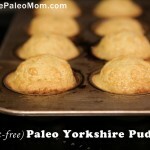 It’s supposed to have less calories because the crinkle cut inhibits some oil absorption. The advertising blitz for this is centering on the premise that you can have your french fries without the guilt – it’s practically a Free Food! UGH. Satisfries, or any french fry, is a giant pile of quick digesting sugar/carbs, soaked in hydrogenated oil. Talk about a triple whammy: high carbs, high insulin, and hydrogenated oils: cancer, heart disease, diabetes, brain fog, and weight gain (and that’s the short list!). Every time you expose your body to this, a little bit of damage happens, and the damage builds up. Parents, the damage happens inside your child’s body also, even if they’re lean and athletic. 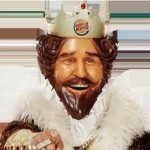 What’s really annoying though is that Burger King is preying on the widely held belief that it’s all about the calories. 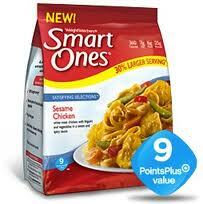 That’s their Buzz Line: “40% Less Fat, 30% Less Calories”; but CALORIES MEAN NOTHING. It’s the hormonal effect of food that makes or breaks us. Counting calories is pointless. The medium Satisfry is 340 calories, 14 grams of fat (all trans fat), and 51 grams of carbs. 51 !!! That’s almost 13 TEASPOONS of sugar; when our blood sugar rises above 2 teaspoons, Insulin is released, and excess sugar/glucose is converted into Triglycerides to be stored. No satiety (which comes from hormones triggered in the brain) would happen; as a matter of fact, these foods were created in a lab to induce hunger/eating/the desire for more. Let’s compare that to 340 calories of a burger, green beans, and cheese. The beef, (let’s imagine grass fed – not soy/corn fed), has a high Omega 3 content, and CLA (anti-cancer fatty acid), is about 200 calories for 4oz, zero carbs; an ounce of cheddar has about 100 calories, zero carbs, and a whole cup of green beans is 31 calories, 7 grams of carbohydrate. Besides the serious nutritional differences, there are HORMONAL differences: very, very, very little insulin would be released, and probably NO triglycerides produced and stored, with the second meal. Satiety hormones would be triggered. You’d eat this and STOP EATING. Your body and mind would say “okay”. That doesn’t happen with Satisfries, or any psedo-food. I just saw something on my FaceBook page that made me cringe; an ad from Weight Watchers that pictures Jennifer Aniston and claims she “lost 6 pounds in 6 days following these Diet Rules.” First of all, Jennifer Aniston’s skinny! Where’d the 6 pounds come from? Supposing it’s true though, anyone can starve themselves for a few days and lose 6 pounds of water and muscle tissue. Wrestlers do it all the time. Fat loss from little bouts of starvation however, is pretty rare. The body is hesitant to give up fat because fat’s an easy keeper. If you choose to go super low calorie, the thyroid slows WAY down, and the brain and liver signal your muscle cells to decompose down to amino acids, which can be converted to blood sugar for energy. Repeat: low calorie eating causes muscle to be used for fuel. NOOOOO!!!! Now you’ve got a slower Thyroid, and less muscle tissue; NOT a permanent way to keep weight off. 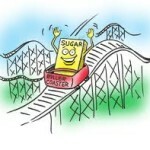 As a matter of fact, after you “re-bound” eat, you’ll probably end up a little heavier than before your low cal attempt. What does this Jennifer Aniston piece have to do with Satisfries? It demonstrates that Big Food and Big Advertising and Big Business know that everyone wants to lose weight, and that most people believe that if they cut calories, the weight comes off. So that’s the angle their marketing departments are advising. Probably successfully. But it just doesn’t work that way. Low fat, low calorie foods and plans DON’T WORK in the Long Run. Ever. Statistically, almost 100% of everyone who loses weight on a Diet, gains it back. 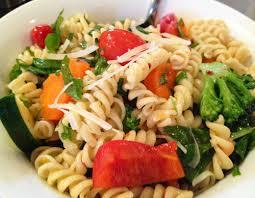 You need a food plan you can sustain, that makes you healthy and happy and satisfied. That’s what Real Whole Foods do for you. 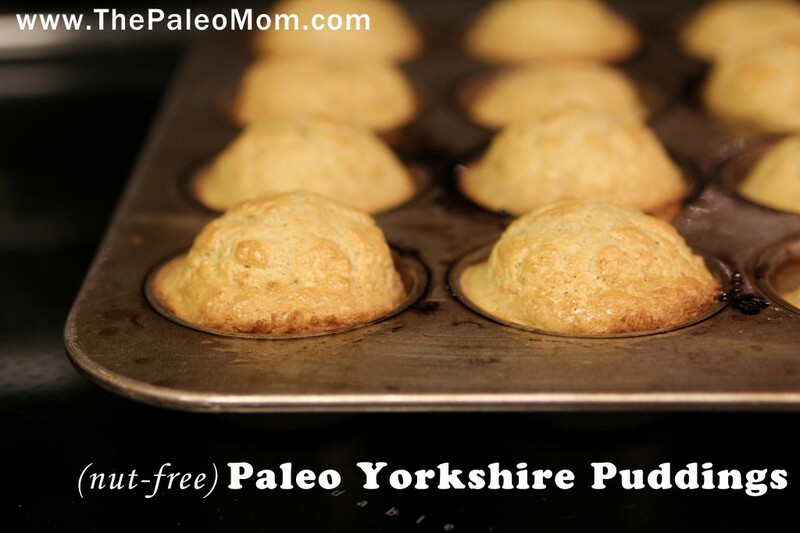 Ditch the sugar, the flours, the trans fats, and the chemicals. Plan, shop, cook in batches, pack. Eat plenty of healthy fats, healthy proteins, tons of vegetables, some fruit, some nuts and seeds, and some whole dairy( if your stomach likes that). Focus on how you want to FEEL. Foods like Satisfries, or Weight Watches Frozen Meals don’t make you feel good afterwards. Practice the habits that make you feel good, and the weight comes off. Eat for health, and weight loss is a side effect. Eat Real Whole Foods. Check out my What I Eat Page for ideas. Eat Healthy, and weight loss is a side effect – I swear! In my last post, I wrote about what destroys immune function. This is important as we’re heading into the typical cold and flu season. 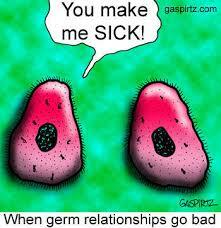 The germs are all around us; some people will get sick, some people won’t. It’s not a matter of whether you take medicine or not, that’s just suppressing symptoms after the fact. It’s a matter of the strength of your Immune System. Live to boost your immune system, and it’s the same as living to be at your best weight. (I get too many emails and questions about Weight Loss – I know it’s always an underlying concern for most people). What can you do?? Eat foods that both feed the good bacteria in your digestive system (which house 80% of your Immune System), and nurture your bodies ability to keep building immune cells (think of them as soldiers, and our body uses the nutrients from the food we eat to build them). Beef, Chicken, Pork, and cold water Fish: if you get grass-fed (wild-caught for fish), they’re loaded with Omega 3s, (immune boosting, inflammation suppressing); all meats contain anti-viral/ anti-bacterial properties in their fats (check out this post). The vitamins and minerals are COMPLIMENTARY , this means that all the co-factors to absorb them (such as Zinc and the Bs) are PRESENT, as opposed to isolating them individually in supplements. 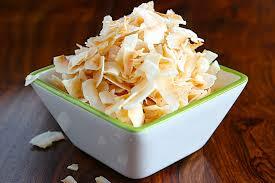 Coconut meats and oils are loaded with anti-viral/anti-bacterial properties. Egg yolks are nutritional powerhouses. Grass-fed dairy is LOADED with Vitamin A, D, and K2, along with all the cofactors for absorption. Remember, all those “fat-soluble” vitamins (A,D,E, and K) NEED FAT TO BE ABSORBED AND USED. Fat-free dairy?? Don’t eat it! Not only are people who consume that stuff heavier than people who consume whole dairy, but the vitamins and minerals in dairy need fat to be utilized. Period. There’s no getting around that because that’s how God designed it. Butter (get Kerry Gold, it’s grass-fed and sold just about everywhere now): contains Butyric Acid, which is one of the favorite foods of the GOOD bacteria in your colon. Cholesterol is hugely important for our immune system (remember, cholesterol is GOOD for you) as it’s a vital component of Vit D. No/Low cholesterol, equals No/Low Vitamin D levels. Get yours checked at your next appointment. Herbs are incredibly powerful in boosting immune function: Garlic (it needs to sit, crushed/chopped/raw/exposed to air, for about 10 minutes so that the necessary compounds can become activated); Turmeric (OMG – powerhouse. If you don’t like it in your food, take it in supplement form); oregano oil (super anti-viral/anti-bacterial), olive leaf (immune building); cinnamon, and cloves. Pro-biotics are always a good idea, but get them from a GOOD source. 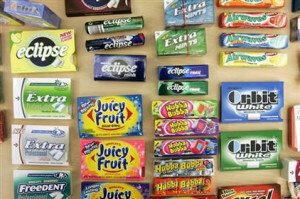 Commercial, sweetened yogurts are NOT a good source. SUGAR FEEDS BACTERIA. Eat super sugary yogurts and you’re defeating the purpose. Buy plain, and add fruit. Teach your kids to appreciate “less sweet” – that’s a taste that will serve them well their whole lives. Keifer (a pourable yogurt, that also has cultured yeasts along with the bacteria) is another wonderful food. (Full-Fat, and as little sugar as possible!!). Kombucha’s being sold everywhere, that’s a fermented tea. Cultured vegetables are becoming more available, like Bubbies Saurkraut and pickles. IMPORTANT: most pickles are just “pickled”, which means sitting in vinegar. Culturing/fermenting means there’s been a bacterial agent added, which develops that kind of sour taste. Probiotic supplements are ALWAYS good, but if you’re on antibiotics, you should probably wait til you’re finished with them. If you don’t want to wait, make sure there’s HOURS between your antibiotic and your probiotic, or you’re just wasting your probiotic money. Sleep and Water are HUGE for your immune system – both for it’s strength, and for recovery if you catch something. Do you see what I mean about eating to build your immune system is the same as eating to be at your optimal weight? It’s all about avoiding crappy poisons: sugars, flours, bad fats, and chemicals, and eating Real Whole Foods. Hope to see you at the Metabolism Class. Going from Sugar Burning to Fat Burning will also boost your immune system! Switch Your Metabolism Class: set for Mondays: Oct 7,14,21, 6 – 7:30pm; and Wednesdays: Oct 9,16,23, 1 – 2:30. The goal: to teach you how to be a Fat Burner and not a Sugar Burner. We’ll cover the Paleo Diet, Digestion, Blood Sugar (you HAVE to understand your biology to lose weight and get healthy), Ketosis, Power Cooking, Compliance Strategies and much more. The class will be held at the Marshall Community Center (4133A Rectortown Rd, Marshall Va), which is right off Rt 17 and Rt 66 – it’s easy to get to. The total cost: $100. My goal: to help you understand that your weight and your health are a matter of your Biology, not a low cal/low fat diet that never works, ever; and that you have the Power to change yourself. Email me if you can attend, or just show up at the door. Phone and Skype sessions are available if you’re long distance.